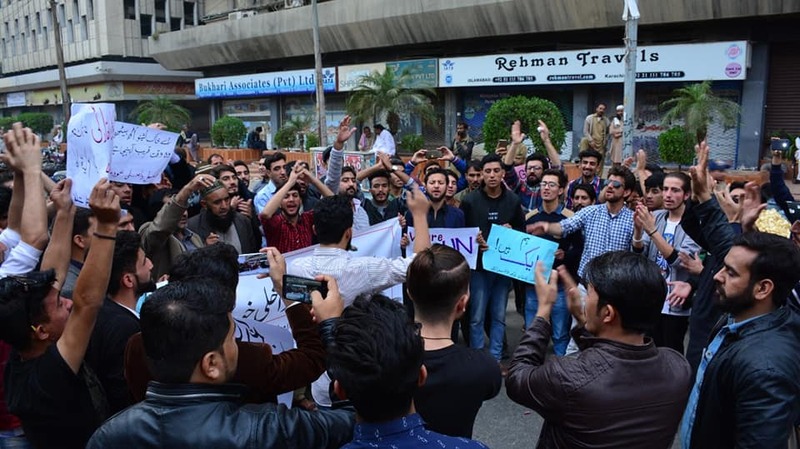 Protesters chanting slogans against SCP verdict and demanding internal autonomy at a protest organised by Gilgit-Baltistan Youth Alliance outside Karachi Press Club on Sunday. Islamabad/Skardu/Karachi/Lahore: Progressive and nationalist parties, youth and student organisations on Sunday organized protest rallies in major cities of Pakistan and Skardu against the Supreme Court of Pakistan judgment on the status of Gilgit-Baltistan demanding internal autonomy, and independent judiciary in the disputed region of High Asia. A big protest rally was held at Yadgar-e-Shuhada (martyrs monument) chowk at Skardu, Baltistan against the arrest of Sheikh Hassan Johari, an outspoken nationalist cleric and for autonomy. The protesters warned that they will launch a movement if their demands were not met which included internal autonomy, the establishment of a local authority as envisaged in the UNCIP Resolution of 1948 and setting up of the independent judicial system in the region that has been declared disputed by the Supreme Court of Pakistan. The SCP in its judgment on January 17 held that Gilgit-Baltistan is not a constitutional part of Pakistan and that it is a disputed territory lik e Pakistan-administered Kashmir. A seven-judge larger bench of the SCP also held that GB’s issue is linked to Kashmir dispute and the people of GB will decide their fate in a plebiscite on Kashmir. The verdict prompted a strong reaction from the two million people of the mountainous region. 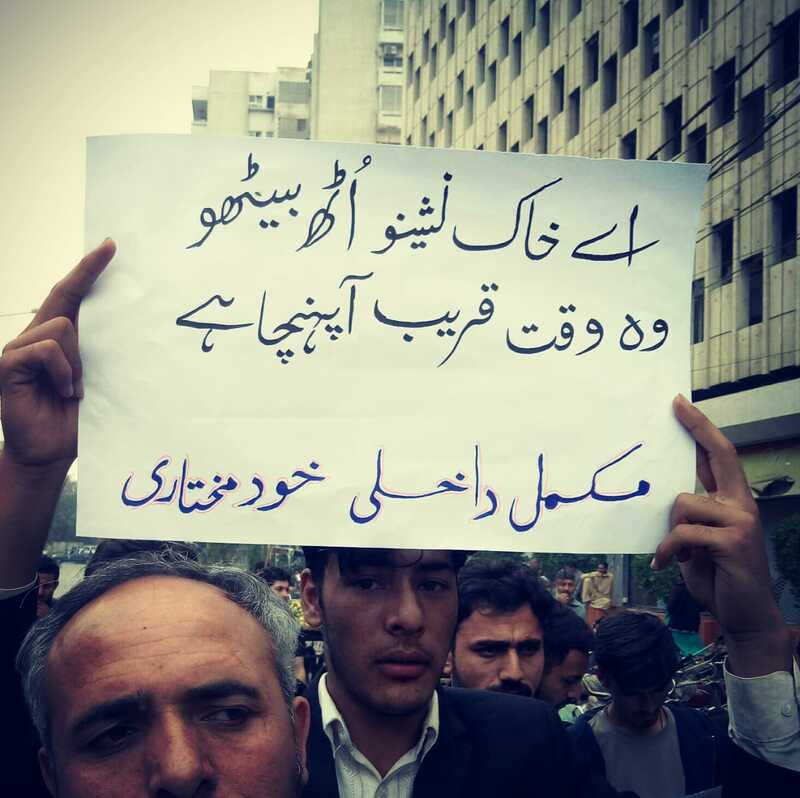 Massive rallies were organised in Skardu, Islamabad, Lahore, and Karachi, by Gilgit-Baltistan Youth Alliance, Awami Workers Party-GB, Progressive Youth Movement (PYM), Diamer Students Federation (DSF). 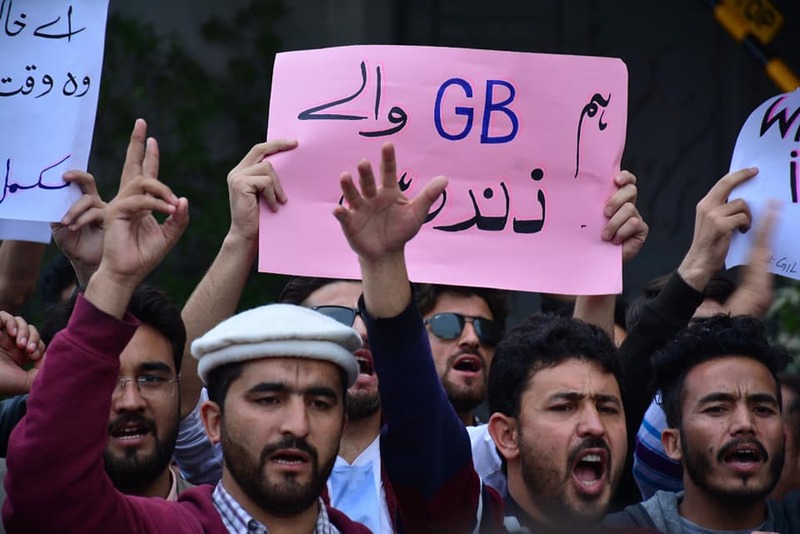 The protesters rejected the SCP judgment regarding the GB status and vowed to oppose any executive order to govern GB without determining its constitutional status. In Skardu, a massive rally was held at Yadgar-i-Shuhada (martyrs square) against the SC judgment and the arrest of the GB Youth Alliance leader Sheikh Hassan Joujari on Thursday. 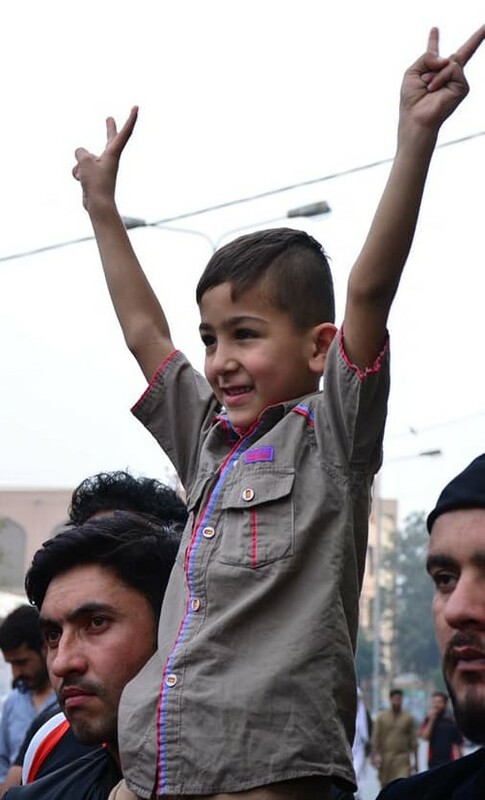 The protesters chanted slogans against the Islamabad and GB governments for depriving them of their constitutional rights and treating the region as a colony. Addressing the protesters Ghulam Shahzad Agha, Mohammad Ali Dilshad and others criticized the district administration for provoking the people to create the law and order situation. They warned the government of strong protest if harassment and intimidation of political activists were not stopped forthwith. They demanded the immediate release of Johari, Baba Jan and other political prisoners and abolition of draconian laws like ATA and removal of names of activists from schedule 4 list. Protest rallies were also held in Islamabad, Lahore, and Karachi. 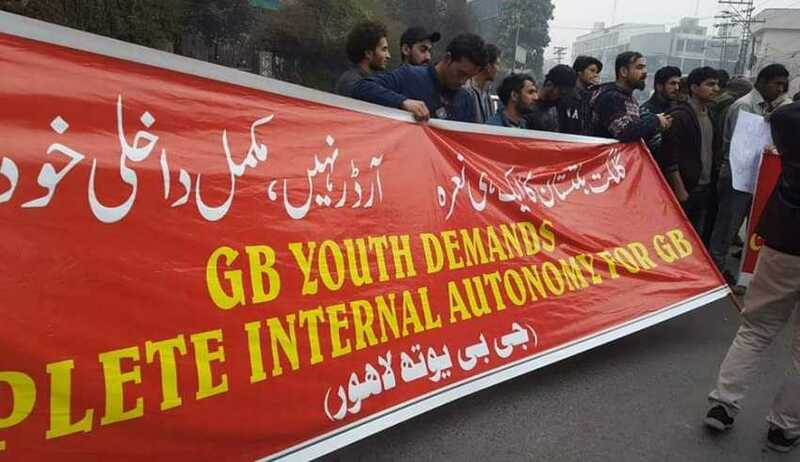 The protest call was given jointly by the GB Youth Alliance, Progressive Youth Movement (PYM), NSF-GB and Awami Workers Party-GB. In Karachi activists of the alliance held a protest rally outside Karachi Press Club. They also marched on the road and chanted slogans against what they called the colonial system imposed on the region for the last 70 years and in favour of autonomy and local authority. In Islamabad a protest demo was organized outside National Press Club under the aegis of AWP-GB, PYM and GBYA that was addressed by noted socialist leader Ehsan Ali Advocate, Ikram Jamal and Ali Ahmed Jan of AWP-GB, NSF-GB and Azeem Hunzai of AWP-GB, Najaf Ali, Shabbir Mayar, Zulfiqar Ali Advocate, Aliyar Advocate of Baltistan Youth Movement, Haider Ali of PYM, Tassawur Rana Advocate of KNM and Engineer Shujaat Ali of Awami Jamhoori Mahaz. Mudabbir Ali of PYM addressing the protesters outside Lahore Press Club. 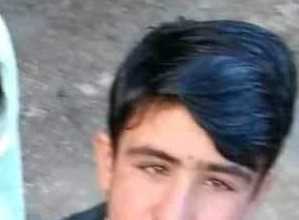 Young singer and poet Azeem Hunzai of the AWP-GB read Habib Jalib’s poetry and galvanized the protesters with revolutionary slogans amid rains. They called for unity of the progressive forces and launching a movement for the rights. They criticized the opportunistic stance of the federalist and religious parties on the SCP verdict which according to them has exposed theseparties. In Lahore, a massive rally was held outside Lahore Press Club organized by PYM and other organisations. The rally was addressed by PYM’s Mudabbir Ali, Farhan Gohar, Tauseef Ali, Shehryar Zulfiqar, and Qaiser Javed. Dr Ammar Jan, Zaigum Abbas, Tauqeer Kazmi and other prominent progressive activists as a gesture of solidarity participated in the rally. They demanded an end to the colonial subjugation and intimidation of the people of Gilgit-Baltistan. In a joint declaration, the GBYA, PYM, and AWP-GB, said “the SCP has vindicated the longstanding stance of progressive and nationalist forces on Gilgit-Baltistan’s status with regard to Pakistan and Kashmir. “The Jan 17 judgment, on the one hand, busted the myth that GB has been or could be made Pakistan’s “provisional province” and on the other hand, it has cleared the direction for the struggle for achieving the fundamental human rights including local authority, independent judiciary, and ownership of the land and its resources by the indigenous people. “It has also closed the chapter for the Pakistani ruling elite to do politics in the disputed region and exploit its resources,” the statement said. The SCP has made it easier for youth and progressive forces to expedite their struggle for fundamental human, democratic and constitutional rights which according to them can be achieved through political struggle, not through courts. “We call upon all progressive and nationalist activists to get united and launch a movement for implementation of the UNCIP Resolution of Aug 13, 1948, that bounds Pakistan to ensure fundamental rights, internal autonomy, and local authority in the disputed region,” the declaration said. 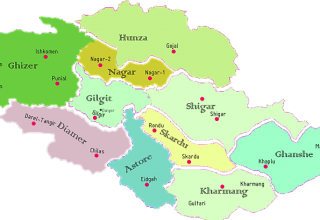 The election for a constituent assembly should be held to draft a constitution for the region and all legislative powers and subjects should be transferred to the GBLA except defence, currency, and foreign policy that may be kept in the domain of Islamabad and armed forces should be withdrawn from cities and deployed on borders. The declaration further demanded that a local authority should be put in place as per August 13, 1948, UNCIP resolution and the legislators shall be responsible to ensure the ownership of the land and resources. They also demanded cancellation of leases granted illegally for loot and plunder of the resources of the region. The declaration also demanded the release of all political prisoners including Baba Jan, Iftikhar, Sheikh Hassan Johari, and others. “We categorically reject any Presidential or judicial order from Pakistan to govern the region and will strongly launch a protest movement against such moves if it sustains,” the declaration read.